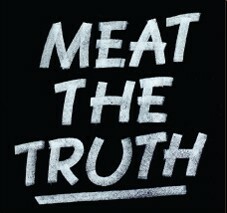 Meat the Truth, the very first documentary on livestock farming’s contribution to the emission of greenhouse gases, was invited to the KlimaForum09 in Copenhagen, on December 17th. Klimaforum09 is a climate summit, the global civil society counterpart of the official UN conference (COP15) in the Bella Center in Copenhagen, Denmark. Marianne Thieme, Member of Parliament in The Netherlands, will be attending and will be taking part in a debate after the screening. The documentary has been screened all over the world, in countries such as Taiwan, Australia, New-Zealand, Ecuador, Canada, Italy, Germany, Argentina, Spain, Croatia, Slovenia, Singapore, Portugal and the UK, and was translated in 9 different languages: Chinese, French, Turkish, Croatian, Spanish, Portuguese, Hindi, Slovenian and Italian. At this moment Korean and German translations are being produced. The Nicolaas G. Pierson Foundation believes that the film will make a valuable contribution to the social discussion about a transition to a more plant-based and thus also a more humane society. The NGPF also hopes that the film will provide a showcase for prominent scientific reports, which have thus far proved inaccessible to the general public. After the screening of Meat the Truth, Marianne Thieme will take place in a discussion panel.